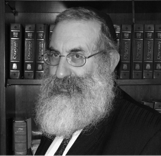 Rabbi Dr. Chaim Dovid Kagan was born in London, England and educated at prestigious Yeshivos in the UK and in Israel. He received his smicha (rabbinical ordination) from Rabbi Simcha Shlomo Levin Z”L and from the Israeli Chief Rabbinate. Rabbi Kagan also received a thorough scientific training, receiving the B.Sc. and M.Sc. from the Imperial College of Science, London, UK, and the Ph.D. from Bar-Ilan University, Israel. He is an Associate of the Royal College of Science, UK and a Diplomat of the Imperial College of Science, Technology, and Medicine, UK. Dr. Kagan served as the Myron Bantrell Fellow in Applied Physics at the California Institute of Technology, investigating the areas of non-linear optics, quantum optics, optical computing, and optical implementations of neural networks. Dr. Kagan has also collaborated on a project involving the use of artificial intelligence to design automobile transmissions. Dr. Kagan has published many scientific papers and given many conference presentations on his scientific work. He has also published and edited various novellae on Talmudic Law and Jurisprudence. Rabbi Dr. Kagan is a noted lecturer on the Torah and Science interface. During his stay in Israel, Dr. Kagan served as a NCO in the IAF, saw action in Lebanon, and worked extensively in the field of military communications. At present, Rabbi Dr. Kagan is the Dean of the Monsey Beis Chaya Mushka Girls High School, and the Rabbi of Congregation Bais Menachem, Wesley Hills, NY. Rabbi Kagan resides with his wife Miriam in Wesley Hills, NY.